As businesses expand and start to scale, their quoting process also tends to become increasingly complex. New Products, configuration options, pricing schemes, and discounting levels can slow down your ability to quickly send an accurate proposal to a prospect, or customer. 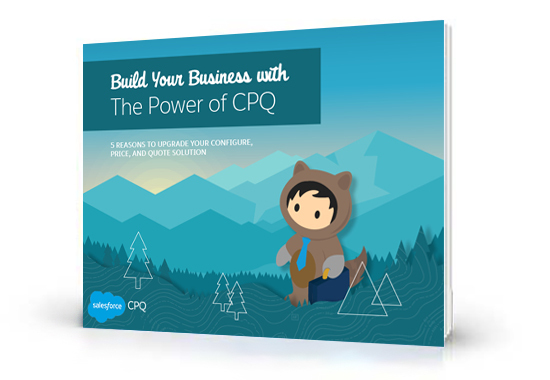 This e-book will help you determine if your quoting process is set to scale and how CPQ (configure, price, quote) automation speeds up critical sales and renewal efforts. Sign up and get our free e‑book. Sign up and get our free e-book.